I’m having my annual art sale at our house again this year. The prices of my oil paintings will be a lot less than I sell them in public – this will be the friends and family prices. I have a TON of new paintings so I hope you’ll come out and see all the new stuff. These little oil paintings would make great one of a kind Christmas gifts. 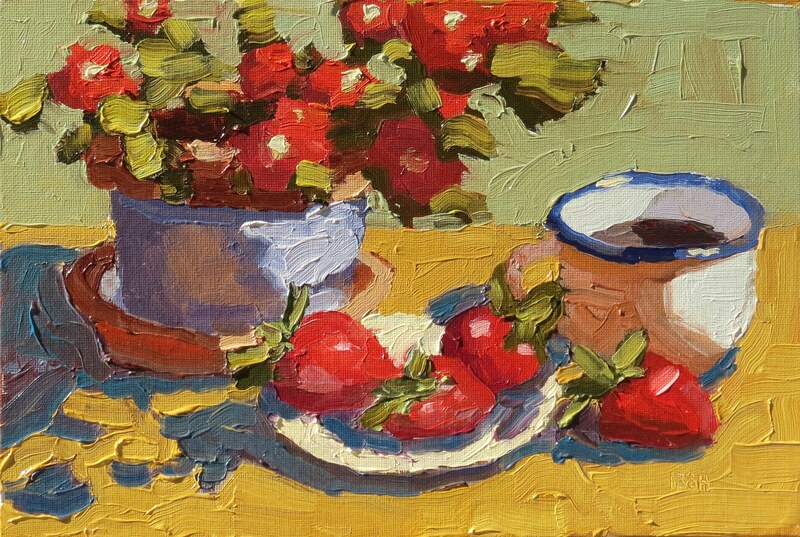 This one is a still life I set up in our backyard and painted from my studio. I do that a lot. My studio is also in our house so you will be able to tour our house and my studio while you’re here. Details below – hope to see you! The sale will be Saturday, November 16th from 10:00am – noon. Our address is 4252 Burton Hollow Rd, Whites Creek TN 37189.